The new funicular of Stoos, in the canton of Schwyz, has a gradient of up to 110 percent: the cabins rise from 562 meters above sea level to reach 1306 meters - in four minutes. Cost of the work: € 48 million. 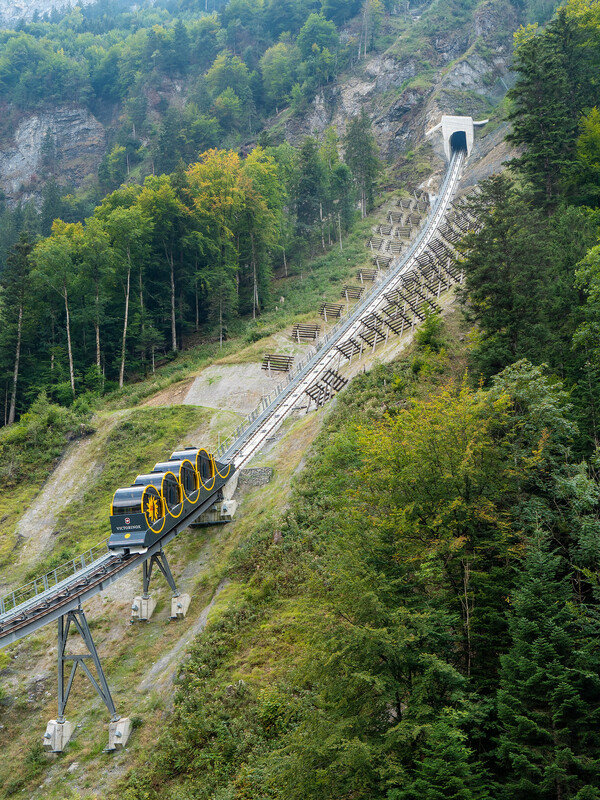 In Switzerland there are more than 500 funiculars. Now there is also the steepest in the world. It is located in Stoos, in the canton of Schwyz, an idyllic village of 150 souls above Lake Lucerne: it runs on a 110 percent slope. From the valley station of Schlattli (near Schwyz) it goes up to Stoos: 1.7 kilometers for a difference in altitude of 743 meters. The futuristic "mountain railway" is not only used for tourist transport: it is also a sort of vital link for the 150 souls who live all year round on the Stoos. The new Schwyz-Stoos-Bahn has retired the old Stoos funicular, a pioneering work that has been in operation for 84 years. The train has been designed in such a way that the cylindrical cabins turn around following the inclination of the path to allow passengers to always remain in a vertical position. 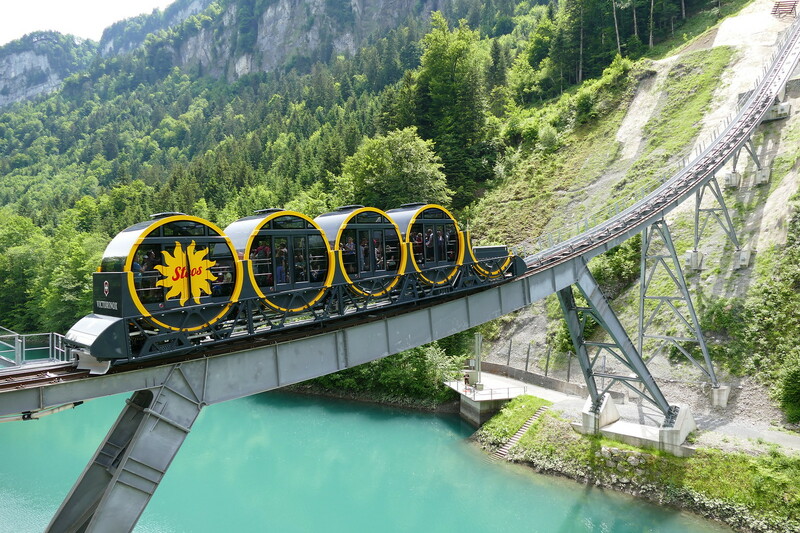 The Schwyz-Stoos-Bahn cost about 52 million Swiss francs, just under 48 million euros.